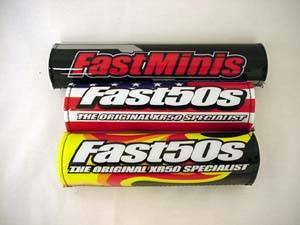 Fast50's Flame, USA-Patriot or Fastminis TM Bar Pad. Choose your style in "Make It Your Own"
Give your mini that factory look! Fast50s handlebar pads show you know what you're doing!